All mortuary students must complete an internship prior to becoming licensed in New Jersey. This “practical training period” cannot exceed three years. 1.) Register after successfully completing two or three years of academic instruction at an institution approved by the Commission on Higher Education. Two years of academic instruction is equivalent to 60-degree credits at a community or county college or one-half of the credits required to complete a degree at a four-year college or university. Three years of academic instruction is equivalent to 90-degree credits at a community/county or four-year college (or a combination of the two), or three-quarters of the credits required to complete a degree at a four-year college or university. 2.) Register while concurrently completing their education. There are specific requirements that must be met in order to utilize this option, such as carrying eight credits per academic term and maintaining a minimum grade point average of 2.0. Upon acceptance, the board will issue an Intern Identification Card. The intern must carry this card on their person at all times during the course of their training. 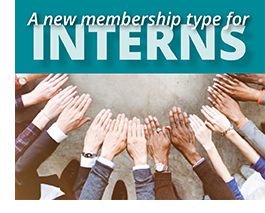 During their internship, or practical training period, all interns are to be available for funerals, embalming, removals and other training instruction. A monthly report must be submitted to the board outlining the embalmings, arrangements and funerals conducted for that month. The intern and preceptor both must sign the report. Reports must be furnished for each month until the intern becomes licensed. For more information on becoming an intern, contact that State Board of Mortuary Science of New Jersey.